Paul Chan’s father was an entrepreneur, so it’s no surprise that Paul’s first job was in the family business. At thirteen years old, Paul worked at his father’s Yum Cha restaurant in Sydney’s Chinatown and quickly learned that work could be hard—not necessarily because of the physical aspect or the environment, but because a job is something that you have to wake up and do every day. So hopefully your job is something you can be passionate about. Going beyond even being passionate, Paul decided that he wanted to innovate and redefine traditional ways of working. Paul studied land economics at University of Technology in Sydney, and while working in the Silicon Valley on real estate marketing projects, the Internet boom grabbed Paul’s fascination. What really compelled him was the Internet’s power as a two-way communication tool taken to a very broad level while enabling access to very deep data. He planned to focus on the Internet’s depth rather than its broadcast capabilities, which was what many consumer-based Internet companies focused on at the time. But one day the phrase “capturing eyeballs” became common parlance. In 2000, Paul Chan followed his own passion to start Pureprofile. Consumers use this web-based service as “account holders,” building their own extensive profile around likes, dislikes, their purchasing decisions, and demographics. Account holders are carefully segmented according to their answers; this allows businesses, researchers, academics, and marketers to offer their services or products efficiently to the right people. Using complex methodologies and consumers’ full participation in research and surveys, the exchange between customer and business is very “pure,” hence the name of the company. Today, Pureprofile employs sixty-seven people across five offices (Sydney, Mumbai, London, New York, and San Francisco). It’s one of the top survey sites with over a million users and hundreds of clients. Over the years, Paul has taken pains to build his company completely by his own design: the technology, culture, systems, and environment are his own. Maybe it’s the nature of an Internet entrepreneur to be so independent, or perhaps Paul’s early experience in the restaurant drove him to create a career on his own terms. Paul has a very analytical personality that thrives on efficiency and self-sufficiency. This permeates Pureprofile’s company, down to the last hire. Pureprofile has an extremely independent and self-managed culture (the buck stops with you). This allows Paul to think “big-picture” and not worry about the day-to-day operations. Mirroring Paul’s passion for efficiency is the technology itself. The company has built an amazingly complex and efficient system to manage millions of profiles and enable correct payment to the users who respond to the surveys. In addition, this platform also matches the correct users with businesses that need their feedback. Efficiency and productivity are hard enough to manage in one office, but connecting five locations around the world has taken some effort. Through clever technology, they’ve been able to connect the offices together as they work around-the-clock. They’re able to share their information, updates, and culture seamlessly. To build such a successful business, Paul Chan admits that he’s “not afraid to lose.” Along that same vein, Paul shares some of his losses and lessons as he’s built Pureprofile. 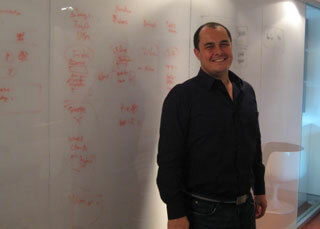 When starting Pureprofile, Paul realized that he possessed a unique opportunity to purposefully design everything. He took time to think everything through and implement his vision early on. It’s definitely much easier to be proactive at the blueprint phase than after the foundation has been set and the frame has been erected. Staying true to this commitment, Paul has thrown out old review formats and is designing his own program to streamline the process. Paul Chan found that oftentimes, hiring senior people from big corporations is high risk for a startup. Most executives who work at large organizations have a full complement of support staff and a budget. When they’re removed from that environment and dropped into a scrappy start-up, they often struggle without the resources that they are accustomed to leveraging. This tip really resonates with me because we initially brought in a new CEO for NetConversions, only to have to let him go months later. Similar to Paul, I now ask how executives will execute against an agreed upon plan. At a startup phase, they usually have to be a player first, then a coach. When formulating an execution plan, if their first question is “How much budget do I have?” or “What agency can I hire?” then alarm bells go off for me. They have to be able to roll up their sleeves and get sh*t done themselves. Then as we grow, they can start coaching others when we build out the team. Paul is confident in himself and his role, so he gives people a lot of responsibility and helps develop confidence in others. He acknowledges that in some cases this leads to over-promoting people, pushing them beyond their comfort level. But this is how he has built his culture of accountability and productivity. He feels that when you push people at a high level, the low-level day-to-day processes get taken care of automatically. Additionally, Paul is an early adapter of tools to help people get the job done. Paul is quite conscientious when it comes to getting feedback to improve his own performance. He invests regular time into deep discussions with his team. On top of that, he has a mentor who works weekly with him and his senior team. He values having a continuous feedback loop so that he can adjust course quickly when necessary and keep a steady momentum going. Paul is maniacal about measuring, monitoring, and diving into data, which is a great fit for Pureprofile’s business model. He shared with me that most companies have a huge amount of data that is never processed into information—much less knowledge or wisdom. This obviously sounds trite, but Paul has witnessed too many entrepreneurs who aren’t truly passionate about what they do. This is surprising since one would think that people tend to start companies that they’re passionate about. Entrepreneurs pour endless hours into their startups, so you should spend your energy on something that you’re passionate about, or start thinking about how to transition and exit from that endeavor. At an early age, Paul Chan realized what he didn’t want to do. But it was only later that he was able to combine his passion for data and creating systems into Pureprofile. Paul is definitely very intentional about designing and guiding his business, as I saw from their swanky office location and furnishings. It’s easy to choose to be great, but it’s much more difficult to follow through like Paul Chan has at Pureprofile.